Be Bop Deluxe were an interesting band. Regardless of whether or not you actually liked them (and a lot of people didn’t, which is why they remained a defiantly second division act in terms of rock history), they never failed to fascinate; and, in so doing, erected an aura around themselves that defied you to ever reject them out of hand. They certainly traced a fascinating musical trajectory, from the studied-chic glam of their debut Axe Victim, to the icicle new wave of their farewell Drastic Plastic, Be Bop essentially delineated the course that British rock’s most potent obsessions would trace through the decade, and did so with just enough of a head start that only David Bowie could really claim to have topped them as an influence. “Ships In The Night,” their sole major hit single, remains a pristine moment of pomp amid the drudgery of 1976, and Modern Music, their best-selling album (#12, fact fans) prefigured punk with a potency that only Zig’s Low could otherwise reach for. And that came out a few months later. As Brian Eno probably didn’t really say about the Velvet Underground, but that hasn’t stopped people repeating it, not many people listened to Be Bop Deluxe. But everyone who did formed a synthipop band – and, in so doing, translated the angular cool of their role model into something that even your gran could tap toes to. They split in 1978, which was both the right time and the wrong. Right, because it meant frontman Bill Nelson could move on to something else, something more in tune with the demands of the time… Red Noise. And wrong, because Be Bop surely had more to offer, if only because their albums-so-far had skirted across so many crucial issues that who knows what they might have posited next? For the rest of the review, please visit the Goldmine website! 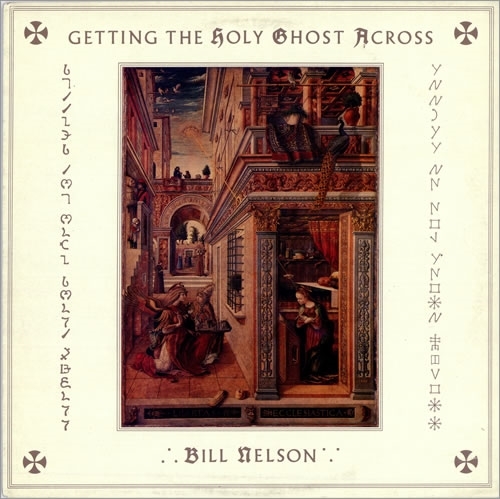 This entry was posted on Friday, March 14th, 2014 at 00:00	and posted in Bill Nelson, Review. You can follow any responses to this entry through the RSS 2.0 feed.